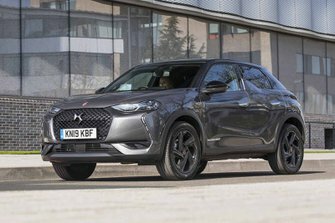 DS 3 Crossback Performance, Engine, Ride, Handling | What Car? The most popular engine for the 3 Crossback is expected to be the 1.2-litre Puretech 130, which can only be had with an automatic gearbox. For town driving and casual motorway jaunts, it does a fine job, with peppy acceleration and only a gentle background engine note. Ask a lot of it on twisty roads and steep inclines, though, and you’ll feel a little bogged down by its shortage of low-end pull. The weedy entry-level Puretech 100 set-up, then, only makes sense if saving money on your purchase is your primary concern or you are desperate for a manual gearbox. Those wanting more flexible pace will be better served by the Puretech 155, which offers noticeably more oomph both away from the line and when joining motorway traffic. This version is set up with slightly stiffer, sportier suspension, although you’d be hard pushed to notice the difference. Unfortunately, it’s somewhat unrefined, sounding hoarse and wheezy when getting up to speed. There’s not much joy for diesel fans, either, as the BlueHDi 100 is the slowest of the lot. It’s performance is merely enough to get you by. It does have more low-down pulling-power than the petrol equivalent, but it’s noisy, and you’ll find yourself wishing for more power when trying to make it into that roundabout gap. It does, however, offer the best fuel economy and lowest CO2 emissions if running costs or company car tax are a priority. The automatic gearbox shuffles through its shifts without a fuss when you’re going calmly but is a bit slow to shift down if you’re after a quick burst of pace. The manual alternative, though, is a little clunky to slot into gear, despite its relatively short throw. 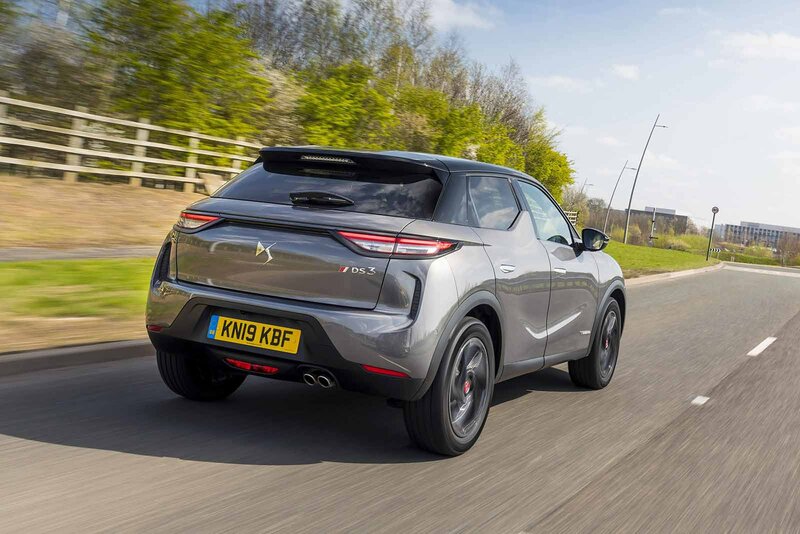 There’s no performance-focused engine offered, whereas rivals all have some sort of pacey halo model at the top of the range. 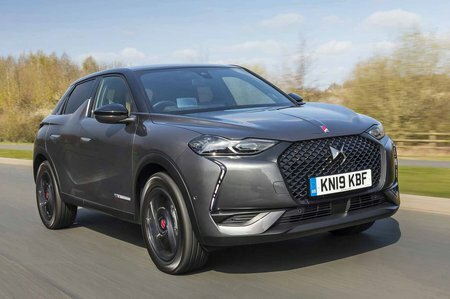 When you’re spending the kind of money that DS demands for top-end versions of the 3 Crossback, you might feel a little short-changed by it only having a three-cylinder 1.2-litre turbo petrol engine. Our very short drive of a pre-production version of the 3 Crossback E-Tense showed it to be a perfectly capable electric car. Acceleration response is typically immediate and the retuned suspension does a good job of soaking up lumps and bumps at low speeds. A 50kWh battery powers an electric motor that’s good for around 134bhp and is said to manage around 200 miles in real-world driving conditions on a full charge. The E-Tense won't arrive in the UK until later in the year; we’ll fully assess it closer to the time. The 3 Crossback isn't quite as agile as the Audi Q2 and Volkswagen T-Roc. Its steering is smooth but too light and unresponsive, and not as sharp and accurate as its German rivals', There’s very little feedback, which leaves you sawing at the wheel regardless of how tight a corner is. It does get heavier and stiffer when you’re on the move, but not always at the best time – expect to enter corners with one level of steering weight and leave them with another. The three driving modes, Eco, Normal and Sport, alter the steering weight and how the , automatic gearbox and accelerator respond, but not the suspension. Predictably, slip the car into Eco and the general feel is one of lethargy, while Sport helps to liven the car up and is your only hope if you want urgent progress – with the Puretech 130 engine, at least. However, Sport can make the 3 Crossback lurch a little as the automatic gearbox jolts into life when you’re after a boost of acceleration, but does help stiffen up the steering. The ride is relatively comfortable, being a little fidgety at lower speeds and only crashing over particularly harsh potholes, but it smoothes out when you gather pace.